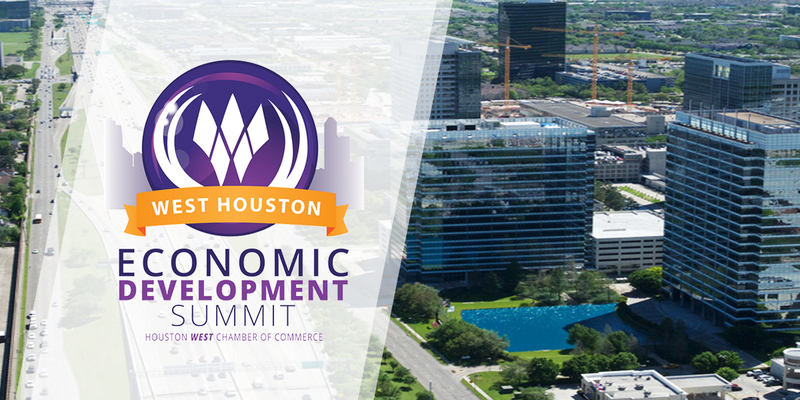 Started in 2015, the West Houston Economic Development Summit presents our business community with an economic forecast through a commissioned study. This "Outlook Report" is paired with results from the West Houston Economic Pulse survey, depicting our businesses' insights on hiring, investing, and borrowing plans for the next year. After the report presentation, a moderated panel of executives in key industries (like real estate, healthcare, financial, and retail) share their thoughts on how their business segments are planning for and reacting to changes in our West Houston economic landscape. West Houston Economic Development Summit 2019 was a half day event that consisted of 4 Business Forums, Business Marketplace Expo and Economic Outlook Luncheon Program. With a combination of insight from some of the top economists in the area and a panel of key executives from the most important business segments, a comprehensive update regarding economic trends affecting 2019 was provided. "Kiss my Ads: Combining Video and Social Media to Boost Your Business"
"Employment in a Diverse Society"
⇨ Forum Panelists: Edwin Haynes, Managing Director & President, Haynes Global Services; Eliza Horn, National Diversity and Inclusion Communications Lead, Deloitte; Roniel Bencosme, Community Director, WeWork.